Ophthalmology is the diagnosis and treatment of conditions of the eyes. 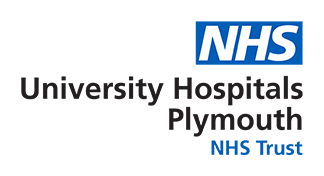 Our ophthalmic services are provided in purpose-built facilities at Derriford Hospital. Outpatients and Urgent Care is located on level 3. Please follow the yellow signs around the hospital with REI written on them. The REI (formerly known as the Royal Eye Infirmary) provides a specialist service for the population of Devon and Cornwall for all emergency, inpatient and daycase procedures and the hospital hosts its own theatres, ward and outpatient suites. The majority of ophthalmology work is elective (outpatient, day case or inpatient) although Ophthalmology Urgent Care treats emergency cases. The REI provides a full range of diagnostic facilities incorporating orthoptics and optometry with plans to expand the dispensing element of the service. Medical Photography of the eyes which forms an essential element. Your call will be placed in a queue, if you hear the ringing tone please hold, as we are on the line to other patients. Advice will be given by a Nurse Practitioner and, if necessary, the patient will be told when and where to attend. Outside of these hours patients with an eye emergency or sight threatening conditions should attend their local Minor Injury Unit, out of hours Doctor Service, contact NHS111 or attend the Emergency Department at Derriford Hospital.